Everyone has their own view of the role of a recruiter and what recruitment companies actually do. As I said, it is an industry that divides opinion and there are lots of stakeholders involved in its processes. We may have a view of ourselves as professionals, but this may differ from how the candidates, the clients or the passive onlookers to the market see us. For many, the recruitment industry provides a very useful service, if used at the right time and in the right way. However, one thing IT professionals certainly don’t need is a robotic message popping up on their phone/inbox, interrupting their daily tasks with a templated greeting almost identical to the last. Prior to working in the industry, I remember only too well the monotony of reading this kind of message. Clearly, such messages take far less effort to write than to read, so I resolved not to work that way. Instead, I wanted to work in an environment where I could build real relationships with people, working as an intermediary between candidate and client to find the best match for each. People aren’t a resource and they should never be viewed as one. 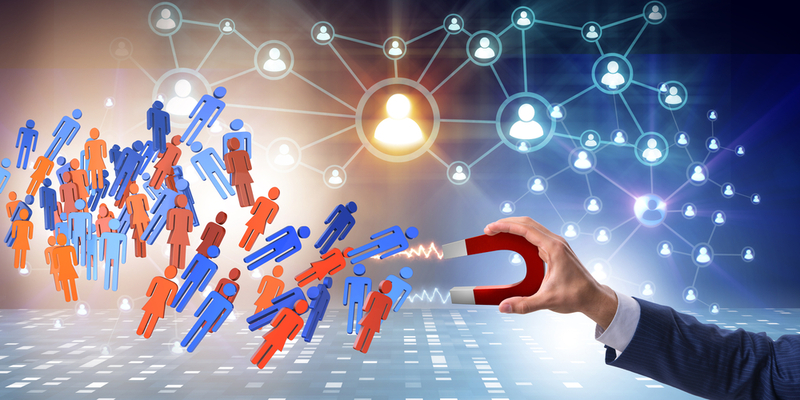 Rather than building a conveyor belt of candidates by casting a shallow yet wide net, I would rather learn the specifics of a job, then help find candidates who are the ideal match - and likewise learn the true motivators for an IT professional interested in looking at the jobs market for their next career move. The working nature of Be-IT has been key in my introduction to life as Recruitment Consultant. Coming from a non-technical background, I have dived straight in to the deep end of a complex, ever-changing and dynamic industry which, to be honest, looked incredibly daunting from the outside. My fear had always been calling a candidate to discuss a role or meeting a client and finding myself tongue-tied and lost by the jargon being thrown around. My perception of the average day in a recruitment company was that I’d have to call as many people as possible in the 10 hours I spent in the office. KPI-driven recruitment businesses seem rife in the industry and targets based on time spent on the phone and/or number of calls placed didn’t seem to benefit anyone involved. Be-IT completely changed this for me. The way of working passed on to me here has been quite the opposite of my initial perception of the industry. At Be-IT, we are encouraged to speak to the key players, whether those working in the market or those hiring people to work. In my experience, the messages I receive during these conversations always emphasise “quality over quantity.” Rather than racking up hundreds of hours on the phone, wasting someone’s time, I have found many receptive individuals happy to chat to me about their work, the market as a whole and their plans for the future. My own knowledge of IT and the roles I have worked on hasn’t been gained through reading books or watching videos but instead built from the interactions I have had with others. Placing someone in a job may create immediate income for any recruitment company but Be-IT is an anomaly as this is not our primary motivator. Instead, we pride ourselves as a business on our progressive attention to the sustainability of long-term working relationships. Further output from the business, such as blogs, research surveys and reflections on market trends, cements Be-IT as a key contributor to and, hopefully, influencer of the IT market. In our CEO and MD, Gareth Biggerstaff and Nikola Kelly, we have two highly knowledgeable and massively experienced professionals who make themselves available to advise not only our clients but also our own new recruits in-house. Their guidance has been invaluable to me and has helped in my own exposure to the market and the industry. Six months in and I have surpassed my own expectations for success. After initially joining as Resourcer I have been promoted to Consultant level. Despite a new title the role has not changed much. I intend to continue to work with the best clients in the country, helping advise them on trends within the market and understanding their recruitment needs. In doing this, I will continue to work with IT professionals at all levels, whether they are graduates looking for help and advice at the start of their careers or seasoned veterans in senior positions looking for higher-level advice. The marriage between the expectations of a client and the aspirations of a candidate is an exciting one and no process is the same as the last one. The industry continues to change and offers exciting ways of achieving this goal. I’m looking forward to my update on the next six months!